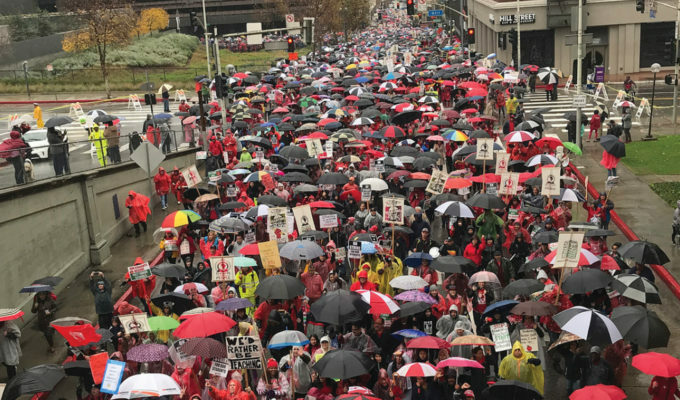 CHILLY temperatures and rainfall didn’t deter the more than 30,000 Los Angeles educators, teachers union members and public school advocates from walking out on Monday, Jan. 14 to participate in the first teachers strike in 30 years. 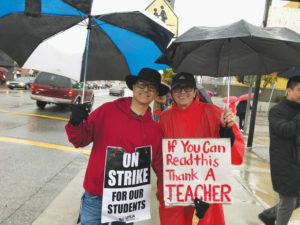 The United Teachers Los Angeles (UTLA) organized the massive protest which held picketing at schools across the district with the primary goal to get the Los Angeles Union School District (LAUSD) to lower class sizes, higher more teachers and support staff and give better pay. “It’s raining, but that’s not going to stop us from standing up for what’s right,” Edoardo Cervantes, a Filipino and Mexican-American parent told the Asian Journal on Monday at John Marshall High School in Los Feliz. Cervantes is the father of two John Marshall High School students and as a former teacher himself, emphasized the impact of class size. “It’s a simple equation: smaller class sizes means more meaningful time students get with their teachers. The quality of teaching and learning declines as the student headcount increases,” Cervantes explained, clutching an umbrella in one hand and a protest sign that read “FOR THE KIDS” in the other. Cervantes was one of the hundreds of teachers, parents, union members and public education advocates to show up to John Marshall High, where UTLA held a rally and news conference. One young woman held up a sign that read, “HONK if you support teachers” which yielded consistent honking on the corner of Tracy Street and St. George Street and cheers from passersby. 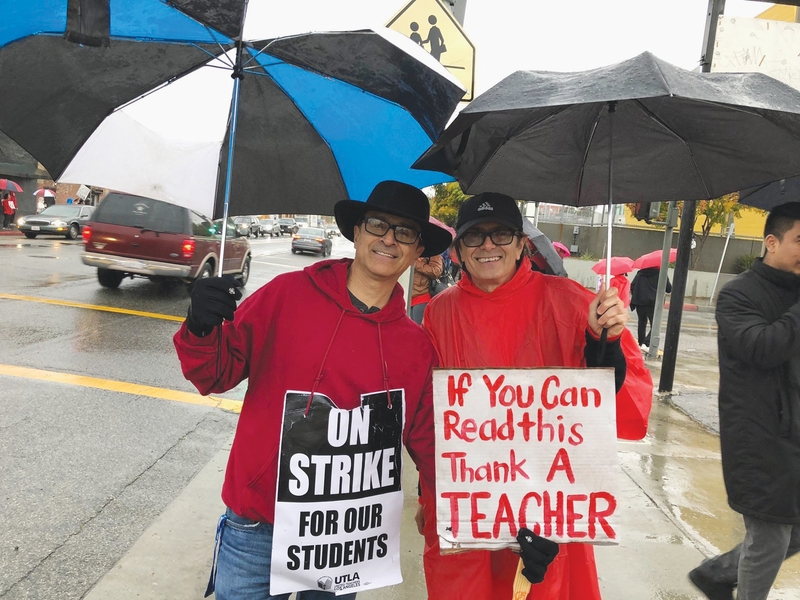 UTLA President Alex Caputo-Pearl said at the John Marshall High protest that the union is “prepared to go as long as it takes” in order to get a contract which meets their demands. “This is a historic day for, not just teachers and educators, but for public education in the county,” Caputo-Pearl told the hundreds of impassioned poncho-wearing picketers. It wasn’t only teachers and parents who showed out for the strike. Students joined their teachers in the walkout, including Filipino-American 10th grader, Francis. “We all joke about how we hate school, but I think it’s important for us students to stand up for the teachers,” Francis told the Asian Journal. Holding a laminated homemade sign (“I prepared my sign to last through the rain,” Francis said), the 15-year-old was joined by three other friends who wanted to “stand in solidarity” with their teachers and their demands. When asked if they planned on attending class, all four students shook their heads. Francis said that his English class currently has 40 students, which he said is “chaotic” and said that he agrees with the union’s goal to scale back on class size. Monday’s strike is the UTLA’s first since 1989. UTLA has been a powerful force in the county’s school system for the last few decades, but in recent years, wealthy pro-charter school political donors have given a louder voice to privately-owned, largely non-union schools. The increase of charter schools (LA has the most charter schools in its system in the country) has appealed to parents seeking for the quality education that private schools offer. Charters have also become powerful in local politics; in 2017, candidates who were backed by charter school donors won the majority in the LA Board of Education. 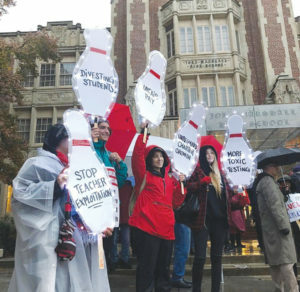 “The truth is is that charter schools have gained an enormous amount of power and influence in the LA school system in the last few years, and that has affected the funding and resources that go to our public schools,” Jollene Levid, a Fil-Am union organizer, told the Asian Journal. 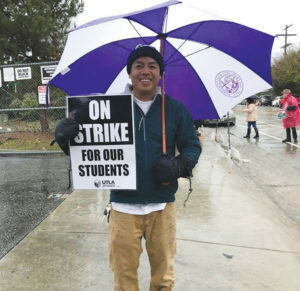 The diminishing influence of UTLA to political figures is also evident in a 2018 Supreme Court ruling that prohibited California unions (including UTLA) from the right to collect fees from all teachers in the district (fees that would’ve been funneled into union campaigns), rendering union membership optional. Roughly two-thirds of LAUSD students showed up to class on Monday, costing the district $15 million on Monday, according to LAUSD Supt. Austin Beutner, who has stated that he is open to coming back to the bargaining table with union leaders. 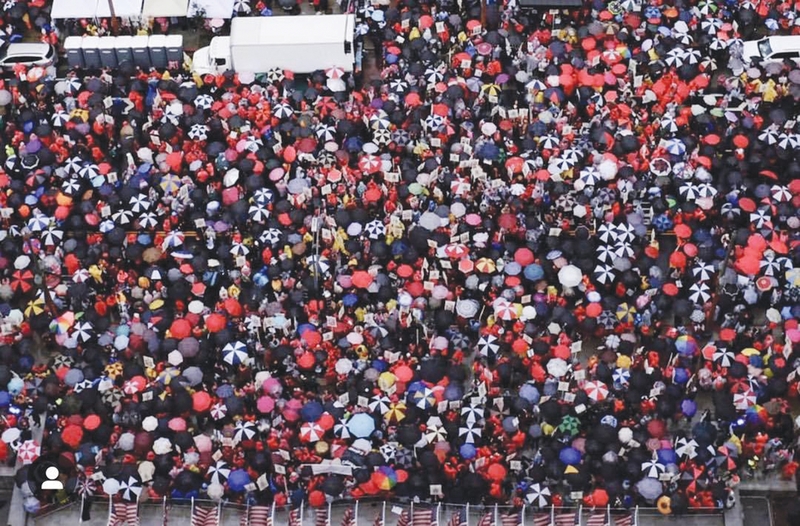 Strikers at John Marshall High School braved the rain and were among the over 30,000 members who took part in districtwide demonstrations on Monday, January 14. Beutner has repeatedly said that he supports the union’s demand for increased funding for schools from the state and federal governments; as previously stated in the Asian Journal, the district doesn’t make funding decisions alone. 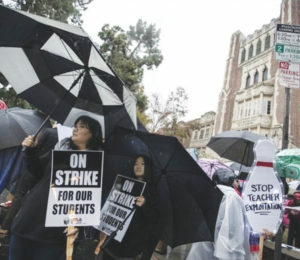 But UTLA has maintained that the state should do much more in regulating the district, which they say has a $2 billion reserve fund that could address the union’s demands. 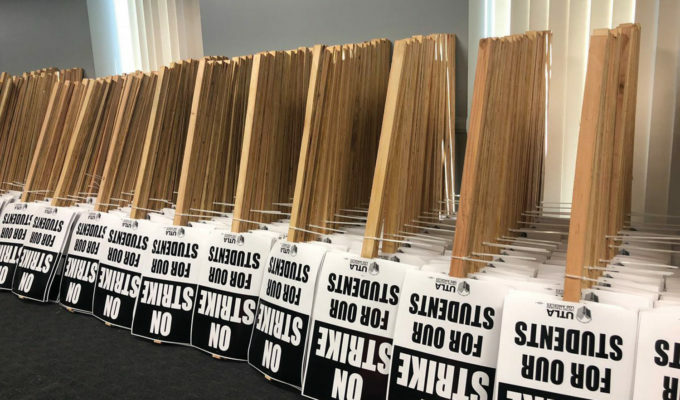 The strike resumed on Tuesday morning with UTLA members adamant that they won’t stop until the district offers them a contract that is up to par.